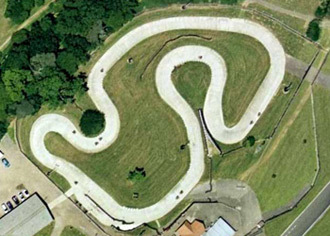 The 350m Mill Circuit at Whilton is great for Stag and Hen parties as well as corporate events. Single-engine karts are perfectly suited to this track and there is a full range of events from 30-minutes arrive-and-drive right through to Grand Prix-style sprint races (longer team endurance races are available on request) for those who wish to make a real competition of their event. A full fleet of Bambino karts are available for youngsters from 8 years and above and there is also an extensive list of other activities that can be added to your day such as clay shooting or off-road buggies. Not just a go karting track, this venue has loads more to offer from clay pigeon and rifle shooting to quad biking and lots more. Contact us with your groups details and we will provide you with some options. Choose from a huge range of activities at this fantastic venue for corporate events and team building exercises. From go karting and quad biking to rifle and clay pigeon shooting. Team activities include treasure hunts, its a knockout games and human table football. There are conference facilities for 15.